Jumping a year in advance, I wanted to look at two of the top eligible players for the 2015 NHL Entry Draft. And by the looks of it, it will be a Canadian/American rivalry for first overall. With the second coming of Sidney Crosby well represented in the Erie Otters, Connor McDavid, USA National Team Development Player Jack Eichel is drawing some high praise in his own right. 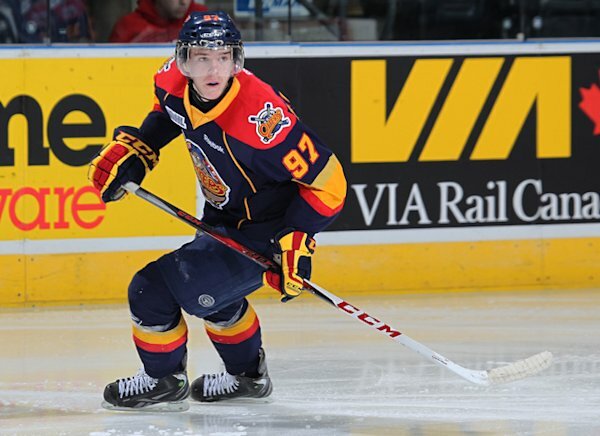 McDavid was actually granted exceptional player status from Hockey Canada to enter the OHL in the 2012 Priority Selection Draft, one year early. Eichel on the other hand was actually born in 1996, but due to his late birth month, missed out on eligibility for 2014. Eichel will be playing for Boston University in his draft year, while McDavid actually considered playing for those same BU Terriers, but chose the OHL route instead. Both players have excelled greatly at every level, and I want to start the comparison with a simply statistical perspective on the two up-and-coming stars. Over this period of time, statistically, McDavid is undoubtedly the better player. Only playing 42 more games than Eichel, McDavid racked up more than 150 more points. However, McDavid spent that time playing for the Toronto Marlboros, playing against kids his own age. Eichel on the other hand spent two years playing in the Empire Junior Hockey League, playing against kids as old as 20… as an eighth grader. He’s even noted the importance of that experience in his development, stating that it not only helped improve his skill level, but also his maturity level. The drastic differences in talent that these two young players faced however, makes it difficult to come to a conclusion. Regardless, both are now in the second year of playing at the highest level of junior hockey in their respective countries. So here goes it for McDavid’s and Eichel’s stats from the OHL and NTDP level. Again, McDavid’s stats rank higher. However, the argument can be made that McDavid is playing against the tougher talent this time around. But while McDavid is playing against some of the top recently drafted and draft eligible players, Eichel’s opposition are certainly no cupcakes. 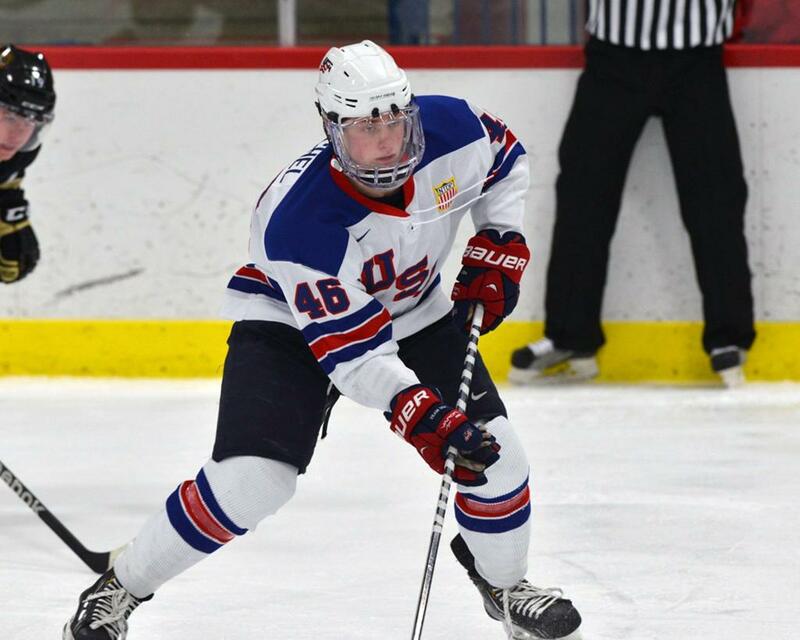 Playing for the NTDP, Eichel plays against USHL, Collegiate DI and DII teams as well as in international tournaments. Eichel however, has scored more goals in fewer games against older competition. Stats don’t generally tell the whole story though, and certainly don’t here. So let’s look a little deeper into the players and the people, Jack Eichel and Connor McDavid. So what does that tell you…? That these are both great talents that any team would be lucky to have. It’s hard to put Eichel at or above the level of McDavid, given the legitimate comparison to Sidney Crosby. However, Eichel is in no way short on talent in his own right. The problem at hand… these are different players, playing against different levels of competition. McDavid has the upper hand when it comes to offensive flair and potential, while Eichel represents a more well rounded package. These guys are both elite and are certainly close in terms of talent. On expert has even stated that Eichel is a lot closer to McDavid than Canada is willing to admit. Not to hard to believe when you look at the two players. It will be interesting to see if they make their respective World Jr. Championship rosters and how well they fare in the tournament. Should be a great opportunity to gauge the talent level and see what kind of impact they can have as underagers in the WJC. With another year of these players dominating their respective domains, we still have some time to pass a final verdict. Either way, whichever team drafts either of these stars will clearly be bringing in a franchise talent. Imagine having the first and second pick next year… dare to dream!